Manchester is a great place to be a student. It's a modern and diverse city with cultural events and attractions to suit every lifestyle. INTO offers a range of study options for you to choose from in Manchester. Manchester Metropolitan University is one of the UK’s biggest universities. With 3,000 of its 38,000 students coming from over 120 countries, you’ll feel right at home at this vibrant and modern city campus university. INTO Manchester offers guaranteed progression to up to 16 NCUK universities on completion of your chosen pathway. Be part of the 3000+ INTO students to have successfully progressed to a top UK university. The University of Manchester is a Russell Group institution, recognised for its high-quality education dating back 190 years. You can progress to over 150 degrees at this highly-ranked university with INTO. Manchester is a fantastic place to be an international student as it is the most linguistically diverse city in western Europe, with up to 200 languages spoken in the city at any one time. It is estimated that half of the city's adult population is multilingual, with four in 10 young people conversant in more than one language. The city celebrates this multicultural diversity in its public spaces, and the private sector actively seeks out international skillsets to benefit a range of global industries. 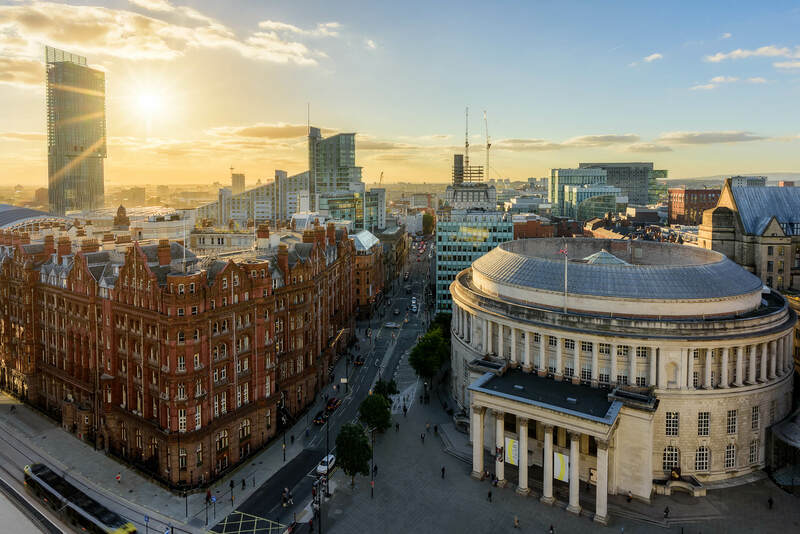 When you live in Manchester, you’ll be immersed in a diverse world of music, art and fashion, and have access to a bustling social calendar packed with festivals, all-day events, and free activities. From the city’s thriving arts scene and world famous clubs, through to a huge range of sports and more laidback events, Manchester is a celebrated hub of activity and creativity where everyone is welcome. Manchester has more than 500 licensed premises in the city centre, from the Manchester Arena (which with over 21,000 seats is the largest indoor arena in Europe) through to any number of specialist venues catering for a huge range of musical tastes. Manchester’s eclectic nightlife offers something for everyone, from the hipster bars of the Northern Quarter to the party palace of the Printworks. Greater Manchester has the highest number of theatre seats per head of population outside of London, and covers the whole spectrum of fringe, opera and classical music, and dance productions. The city also boasts four professional orchestras, the only Comedy Store located outside of London, and a renowned independent cinema. There are numerous literary festivals hosted across the year, as well as critically acclaimed exhibitions from world famous artists. Ranked 5th in the world by the 2012 Ultimate Sport City index, Manchester is famous for it’s sporting heritage. Facilities include SportCity – a dedicated district in east Manchester for sports such as football, athletics and cycling - and the National Cycling and Aquatics Centres, both built for the 2002 Commonwealth Games. Manchester is a great base from which to explore the rest of the UK and Europe. There are four national parks within an hour's drive away, and Manchester International Airport offers daily flights serving over 200 destinations further afield. The thriving north-west of England is one of Europe's largest regional economies at £120 billion, and is a major hotspot for creative industries; MediaCity in Greater Manchester is home to the BBC alongside more than 50 creative and digital companies. The Peak District is Britain's first national park, and covers a vast area in the centre of the UK, starting a short distance east of Manchester's outer limits. Moorland, hills and dales give way to meadows, forests and streams, in the midst of which can be found some of the prettiest villages in the UK. The Peak District is great for lovers of outdoor pursuits, with hundreds of hiking trails and mountain treks. There's also the recently opened Go Ape, an adventurers' playground set high in forest treetops. For those who prefer a more relaxed approach to countryside recreation, there are a number of stately homes to visit, including the famous Chatsworth House. Alternatively you could get a relaxing aerial view of your surroundings by taking a cable car down the hillside at the Heights of Abraham country park. To the north-west of Manchester lies Cumbria, home to the beautiful Lake District. As the name suggests, the region is famous for its many lakes and the surrounding mountains. The Lake District is the second largest national park in the UK. Home to Scafell Pike, the highest mountain in England, and some of the country's biggest lakes, the area's unique beauty draws millions of visitors each year. The mountain treks and hiking trails will lead you through some of the most breathtaking natural landscapes in England, and you can take a boat ride on one of the many lakes - a wonderful way to see the countryside. After an active day of exploring there are lots of quaint, cosy pubs where you can try Cumbria's famous cuisine, in particular its Cumberland sausages. The Lake District has also been a place of inspiration for many celebrated writers, including Beatrix Potter and William Wordsworth, and you can visit the houses where they lived and created their most famous works. Both are set in stunning villages, which you can explore on foot. You might even want to stop off and sample tea and homemade cakes in one of the many traditional English teashops. Welsh is one of the oldest languages in Europe, and the country from which it originated has retained much of its old world charm. You can explore the rich and interesting history of the area, and experience a bit of traditional Welsh culture, less than an hour from Manchester. The North Wales coast is famed for its spectacular landscape, and has plenty to offer water sports fans. It also has some of the most picturesque mountainous regions in the UK, and is home to Mount Snowdon, the highest peak in Wales. Manchester is home to two of the biggest names in sport: Manchester United and Manchester City football clubs. Manchester United's ground, Old Trafford, is the largest club ground in Britain, while Manchester City are based on the other side of the city at their Etihad Stadium, originally built for the 2002 Commonwealth Games. National and international cricket can be enjoyed at Lancashire's Old Trafford Ground, and rugby union and rugby league teams play at nearby Sale, Salford, Wigan and Warrington. With over 300 restaurants in the city, there is an eclectic range of high-quality, modern British and international cuisine available, making it easy to find foods from around the world. Manchester's Chinatown is the second largest in Britain and has a number of Asian restaurants and supermarkets. There are also many restaurants and shops in Rusholme's 'Curry Mile' offering South Asian and Middle Eastern cuisine and produce. As well as the wide range of thriving cafes and restaurants in Manchester, there are also many grocery shops and supermarkets nearby, including Tesco, Sainsburys, Morrisons and Asda. Cheap, fresh produce from all over the world is available, presenting a very cost-effective way to eat. Manchester is famed for being one of the UK's liveliest cities, and whether you're looking for a gourmet dinner, upmarket wine bar, traditional 'real ale' pub, or place to dance the night away, Manchester has it all. It remains one of the best cities in the world to hear live music, and is a major destination for touring bands. It has a host of big name music venues, and the diversity of music available - including jazz festivals, world music events, and classical music and opera - is hard to beat. Find out more about Manchester's nightlife. Manchester is known as the 'shopping capital of the north'. You'll find everything from department stores and high street chains, to vintage fairs and designer boutiques. The trendy Northern Quarter is the creative hub of Manchester's shopping scene, and offers a unique experience with its mix of bars, cafes and eclectic one-off shops. If you prefer having all the best shops in one place, the out-of-town Trafford Centre is for you. More than 35 million visitors come to enjoy 250 stores and 35 restaurants each year. There's also a number of additional shopping centres located more centrally, including the Manchester Arndale and the Triangle Shopping Centre - an impressive boutique-style mall, located within the city's former corn exchange. Find out more about shopping in Manchester. Within the city you can use the affordable and efficient Metrolink (Manchester's very own tram network) or extensive bus network to visit the various parts of the city and its surrounding suburbs. Manchester Airport offers direct flights to over 220 destinations across the world - more than any other UK airport - and was awarded 'Best UK Airport' in 2015 by the Globe Travel Awards. Located just 20 minutes from the city centre, over 100 airlines and 300 tour operators offer direct flights to all of Europe's major cities, as well as daily flights to the Far East and US; including four flights a day to New York. Manchester was home to the world's first railway system, and this transport legacy still continues today. The city region was ranked in the top 10 in Europe for transport links (Cushman & Wakefield's European Cities Monitor) and there are 98 train stations covering the region, including trains to London every 20 minutes. As the world's first industrial city, Manchester has always been at the heart of the UK's economic activity. Greater Manchester is now the largest and fastest growing employment area in the north-west, representing more than £42 billion of the UK regional Gross Value Added. Global players like Kellogg's, Procter & Gamble, Unilever, Hitachi, Thales, and Siemens have built everything from the world's biggest cornflake factory to a new global centre of excellence for renewable energy. An estimated 8,000 digital and creative businesses employing over 45,000 people, and £3.5 billion has been spent building a global hub for creative industries – including the only international internet exchange outside of London. Manchester Science Partnerships is an internationally-renowned science park home to over 170 companies in the life science, bio technology, ICT and digital and creative sectors.